Assessing for deep understanding and higher order thinking is not easy. It’s oh-so-much easier to assess for factual recall. But it’s worth doing. Combining the work of Dr. Erickson and Dr. Lanning on concept-based curriculum and instruction with the work of Dr. Susan Brookhart on assessment, we’ve been able to come up with some decent examples of assessment for deeper understanding. Use novel material – material that is new to the student, not covered in class and thus subject to recall. 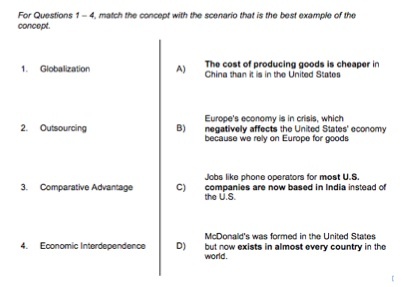 Here are examples of a couple multiple choice questions that assess a student’s ability to transfer their understanding of a single concept to a new situation. Here is an example of a more complex task that assesses students’ ability to transfer their conceptual understanding or generalization (the relationship between two or more concepts) to a new situation. It first asks students to explain the relationship between two key concepts from the course. Then it presents a new situation that the students have to analyze. It includes some primary source texts with different points of view that is not shown here. 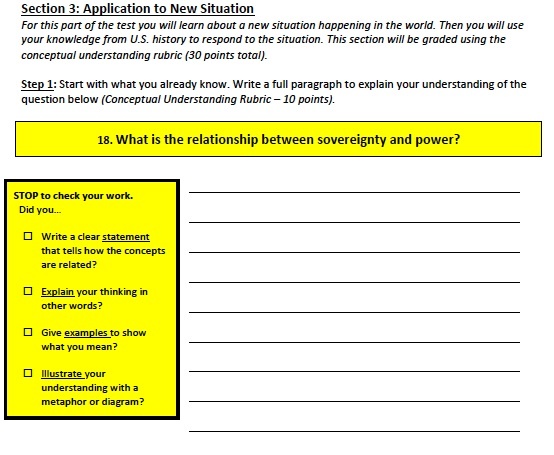 Then it asks the students which of the concepts from the unit of study most relate to the new situation. 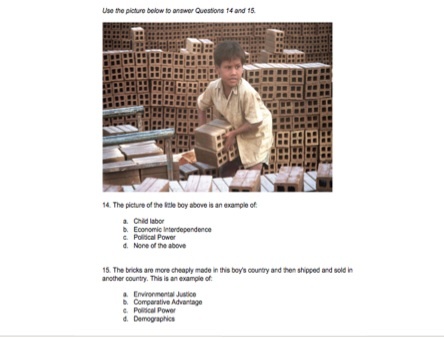 Finally, the task asks students to take a stance on the new situation, using their conceptual understanding and evidence from the new situation as well as examples of situations studied in class to defend their answer. Students are expected to evaluate the transferability of their initial understanding to the new situation, accounting for nuanced differences based on the new situation. 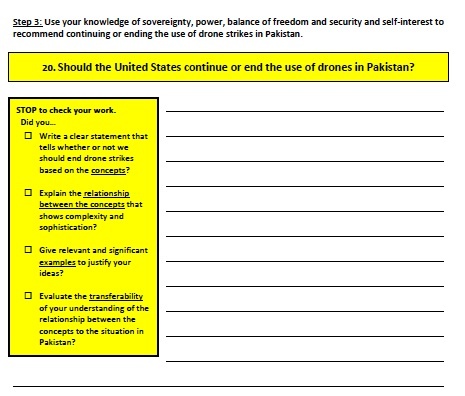 Here is the Conceptual Understanding Rubric that we’ve used to evaluate their responses. Previous postWhat does a concept-based classroom look like?